Is bodybuilding a guaranteed path to success for the son of the seven-time Mr. Olympia champion? Just like his dad, 21-year-old Joseph Baena has found his passion in life which happens to be bodybuilding (What a coincidence). But the question is how will he fair in the competitive world of bodybuilding? As a natural and being Arnold Schwarzenegger’s son, one would naturally think he’s got a lot of favor to become a big success but unfortunately, it doesn’t work this way. Being natural, his chances of attaining large success are very slim, and on the other hand, if he eventually competes in untested shows, well… the competition is cutthroat, to say the least. Baena has great genetics (He is Arnold’s son after all) and likely good work ethic which is why he have to at least respect his dedication (Regardless of how far he goes in the sport). 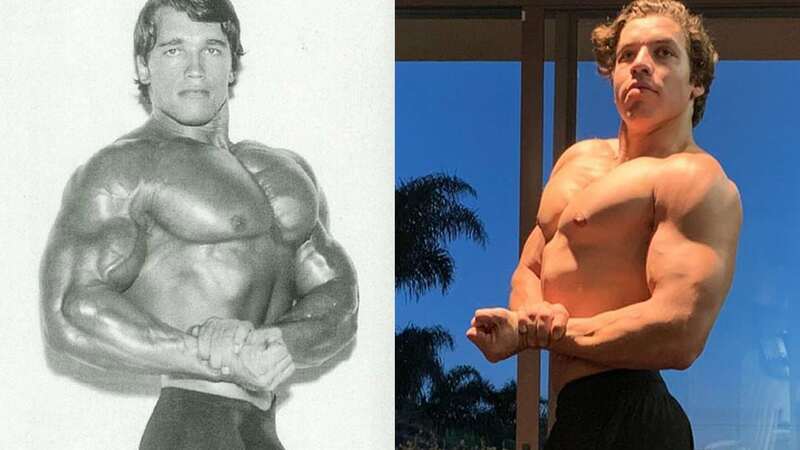 Not long after Baena replicated a 3/4 double bicep rear pose of Schwarzenegger, he took a side chest photo for comparison. The side chest was one of Schwarzenegger’s most iconic poses because he had one of the best chests in bodybuilding. Baena is definitely starting to resemble his father with the fullness of his muscles and structure but as of now, he’s a natural… which means we won’t see Arnold 2.0 just yet. However, as a natural, he’s making some amazing progress. Arnold Schwarzenegger is definitely pleased with his son’s decision to take an interest in bodybuilding. Schwarzenegger still wants Baena to get an education and finish college but if bodybuilding is his true passion then so be it. Baena has made some pretty impressive improvements since he took this picture, and is ready to take to the stage like his father. 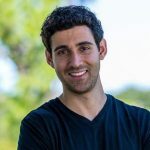 Now, natural bodybuilding doesn’t offer the attractive payouts and recognition like the untested pro shows, so if Baena sticks to bodybuilding it wouldn’t be surprising if he made the transition at some point. But his career path can still change as he’s very young so we cannot make a definitive judgment about the young man as it currently stands.